Mos Burger is coming to Australia. After my last post about Lotteria’s Tower Cheese burger, which you can read here this is some good news for burger lovers in Australia. Mos Burger is a famous hamburger chain restaurant in Japan that pitches itself as a gourmet burger chain that is healthier than its rivals. 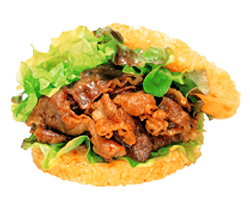 Its burgers are made fresh and with Asian style tastes such as teriyaki and soy. The chain is well known in Japan for its Mos Rice Burger that uses a bun made of rice and the original Mos Burger. 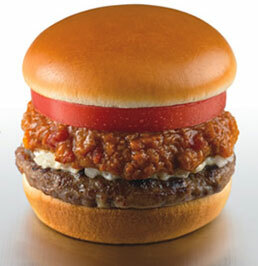 My favourite has to be the Spicy Mos Burger that comes with a really delicious sauce. 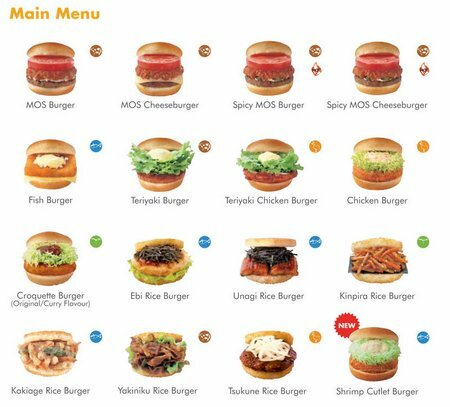 Mos Burger has hardly changed its menu for Australia but has increased the burger sizes by 20 per cent along with its prices. Mos Burger will begin its test run with a store in Brisbane and aims to establish stores in Sydney and Melbourne, and then in Perth, Adelaide and other cities and regional centers. The company is eying about 30 outlets in five years. Success is heavily tipped and it could be the start of a Japanese chain restaurant invasion. Easy To Follow Steps To Create Over 108 Top Japanese Recipes! There used to be a Mos burger outlet in Kuala Lumpur but it didnt last long. Was just in business for a year or so. Pity because I would love to eat there since I cant eat the burgers in Japan! Thanks Lina, I've heard that there are quite a few Mos Burgers in Asia, mostly in East Asia. It is a quality fast food restaurant and I hope it does really well in Australia. My wife would be so happy - as MOS Burger's her #1 famvourite burger. Having said that, it's mostly about how fresh ingredients are, and that's not necessarily as transferable as the sauces and recipe. Thanks Ben, It is great news for all the Mos Burger lovers in Australia. Mos Burger is all about fresh ingredients and being made to order so they should have no trouble transfering that to Australia. OMG, I almost died of happiness about this news! Now I can get their always sold out chicken cheese teriyaki limited edition one. lOL yeay... T_T i am wiping away my tears of happiness now. Thanks MeLLonHeAd, it is great news and hopefully they will have everyones favourites. The signs are good and I'm hoping the Melbourne store will open sometime next year!! my missus was excited when she heard the news that mos burger is on it's way to sydney! Thanks Reesan, Sydney and Melbourne are next and I can't wait!! Thanks Suki, I love Mos Burger as well and can't wait!! I happened to find this post. Interesting. And happy to know all those Mos lovers. How is Mos Burger going on in Australia now? Hope it is still there. We ate at Mos Burger in Osaka last month and then Sunnybank (Brisbsane) last week and I am glad to say it all seems to be going really well at Sunnybank, some days you have to stand in a long line outside the shop to wait to get served. I think it's a bit of a shame they increased the size of their burgers for the Aus market as it is a bit less like the authentic Japan experience - but don't be deceived - the rice burgers look pretty small but are SOOO filling (and delicious!). Didn't notice any major differences in taste or flavour, but our experience of Japan Mos Burger is very limited. We will have to go back and try out more of the menu (just for research purposes, of course). They welcomed us to the shop and thanked us for coming, as is Japanese custom, but unfortunately it was all said in English, which kind of breaks the spell for those of us pining for a bit of Japan in Australia. Hi rObfOs, and thanks for the follow up comment. Good to hear that there wasn't any major differences in taste or flavour. It would be nice to having some Japanese speaking staff for those ex-pats in Australia or just those Aussie who want to use their Japanese skills :) Have just been looking at the Big America series at McDonald's in Japan, which I will post shortly. Just saw this post and it is really great news! When I go back home I wouldn`t mind a Mos burger, as I`m not such a great Mac fan. Does anyone know where the store is in Brisbane? Great news indeed! I much prefer Mos over Mac. And as I`m Australian when I go back home later this year I will definitely drop in to the store! Does anyone know where the store is in Brisbane? mos burger? what ingredients this burger? Thanks FEDO, There are lots of different burgers and some are very much unique to Japan. My favourites are The Original Mos Burger, The Spicy Mos Burger and The Teriyaki Burger. Hi.. May I know when will MosBurgers be opening in Melbourne? Am exciting & longing for it.. ^_^ Thanks..
Love MOS. I have been to many stores in Osaka since 2005. I can confirm the store at Surfers Paradise is awesome. Really looking forward to a store opening in Sydney. i love Mos Burger! they need to come to Melbourne! that would be amazing! any plans you know of? Thanks Anon, As far as I know Mos Burger plans to establish stores in both Melbourne and Sydney. Not sure of the time frame at this stage, but hopefully soon.